Gaza. Press TV- The Palestinian Health Ministry has warned that hospitals in Gaza could close within days due to a shortage of fuel and subsequent power outages after the US decided to cut aid to the besieged enclave and the West Bank. Ministry spokesman Ashraf al-Qidra said generators are about to shut in major hospitals in Gaza because fuel supplies have ran out, complaining that the related parties have so far refused to address the problem. Gaza, which is grappling with an Israeli siege, has struggled with severe electricity shortages since 2006. 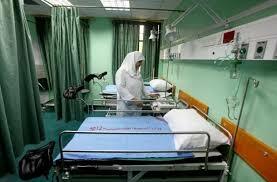 Bassem Abu Libdeh, the director of the Makassed hospital, said the US decision affects 40 percent of costs in the East Jerusalem al-Quds Hospital Network, which includes a group of six hospitals. The United States on Saturday said it would put the money toward “high-priority projects elsewhere,” without specifying them. “This dangerous and unjustified American escalation has crossed all red lines and is considered a direct aggression against the Palestinian people,” the ministry said. The US decision comes on the heels of previous cuts in aid for Palestinians. On August 31, the US announced it would end all funding to the UN’s agency for Palestinian refugees, known as UNRWA, a week after it cut over $200 million in aid for the West Bank and Gaza. The fresh cut also comes after US President Donald Trump vowed to use the aid as a bargaining chip to force Palestinians to negotiate with Israel. Ties between the US and Palestinians deteriorated last December, when Trump declared Jerusalem al-Quds as the “capital” of Israel and announced plans to transfer the embassy from Tel Aviv to the occupied city. Trump made it clear during a phone call Thursday with Jewish leaders that the aid to Palestinians would only resume if they agree to a deal with Israel. “I stopped massive amounts of money that we were paying to the Palestinians and the Palestinian leaders. We were — the United States was paying them tremendous amounts of money,” he said. “And I’d say, you’ll get money, but we’re not paying you until we make a deal. If we don’t make a deal, we’re not paying. And that’s going to have a little impact,” Trump added. However, the Palestinian Minister for Jerusalem al-Quds Affairs said the latest cuts were “not surprising at all” and pledged that Palestinians would not bend. “Let America know that all these acts will not change our position toward our cause one bit. On the contrary, it consolidates our positions toward every issue, including al-Quds,” Adnan Husseini said.